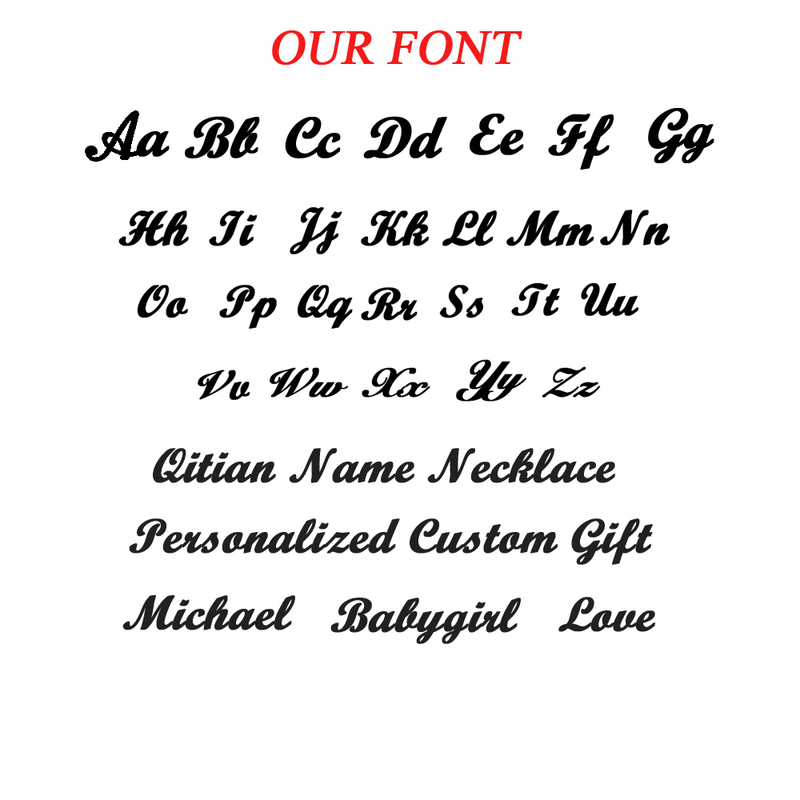 It's Smart and trendy Personalized Custom Name Necklace for Fashionable Men and Women. This Fashionable and Cool Link Chain Necklace comes with shiny Color and Letter Pattern 2-5cm*3-10mm Pendant. The Stylish Necklace is made of a high-quality stainless Steel Material and Comes with an Adjustable Length and could be a unique gift idea. Process:Will take 8-10 days to ship.